Infighting in the AKP. I’m sure many people are gloating, less than three months before the elections in which the AKP wants to win enough votes to single-handedly change the constitution. But what does it mean for the (so called) peace process? Especially when you add the possible weakening of Öcalan to the equation? The peace process, after all, has survived the total lack of progress partly because of the total faith the two leaders are shown by their constituency. What if that trust disappears? It may seem strange to talk about a possible weakening of Öcalan. His party and its affiliates, like the YPG, have gained a lot of leverage in the last year or so, due to the marvellous fighting the Kurds have carried on against ISIS. Militarily the Kurds have shown more unity in the face of this common enemy. The PKK and their affiliates of the YPG and the fighters connected to Barzani in Iraqi Kurdistan, the peshmerga, turned out to be an unbeatable force against ISIS, assisted by coalition air strikes of course. This fighting has gained the Kurds international respect, but, what is more relevant to the situation in Turkey, it has also brought the Kurdish people a stronger sense of unity. Kurds have always felt a unity among each other, even though they are divided between four countries and have many members living in a diaspora, but now, this unity has strengthened even further. The political leaders, however, have always been in a power struggle, with Barzani and Öcalan being the biggest players. This power struggle is only deepening now that the Kurds are becoming a crucial player in the Middle East. The competition between the leaders has a strong ideological base. Barzani a representative of the old clan-based Kurdish society, Öcalan rooted in communism and now representing a movement that doesn’t plea for statehood, like Barzani did last year, but opposing nation states generally. The strengthened unity among Kurds could very well lead to a stronger longing for statehood. Or actually, that longing is growing already. How will that affect support for Öcalan, especially if the peace process keeps getting totally stuck and leading nowhere, like now? 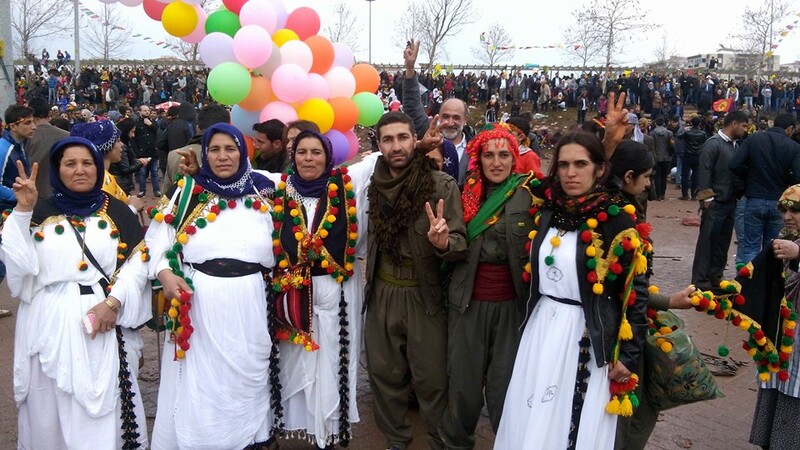 A weaker Öcalan – I see many in Turkey gloating already. 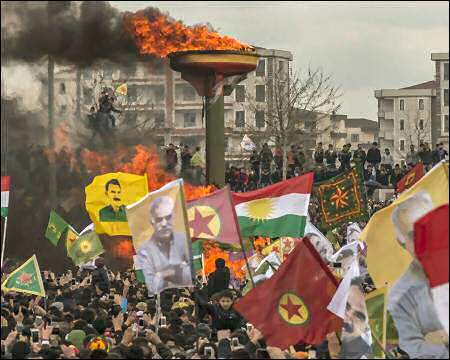 For me, Öcalan’s message at Newroz showed some desperation on the side of the Kurds. I mean, how exactly was this message ‘historical’, as claimed by the Kurdish movement? Nothing new was said, it was basically the same message as the one read out at Newroz 2013. A ‘new phase’? There is a new phase practically every time a Kurdish delegation visited Imrali, the whole ‘new phase’ frame has become void. But the government isn’t doing anything, and that won’t change – not even after the elections. They haven’t been doing anything since the whole process started late 2012. The constitution remains unchanged, just like the anti-terrorism laws, there are still restrictions on the Kurdish language, and the 10% election threshold is still in place. The latter will not bother the Kurds, my confidence in that is growing – but that could also be wishful thinking. Imagine if the HDP really does get more then 10% of the votes, where will it leave the government? Erdogan will not get the constitution that would make him the most powerful president since Atatürk, but he will not give up and will keep pressuring the government on governing Turkey the way he wants it. More rifts in the AKP? Will either Erdogan or the AKP weaken significantly by that, and how much faith will AKP voters retain in the peace process? I always get the creeps at the thought of strong leadership in combination with people following such leaders blindly. But this peace process, this cease fire, depends on the strength of Erdogan and Öcalan. Those gloating over the weakening of either one of them now, might regret that later. A writer as brave as one of YPJ/YPG fighters! Previous Previous post: What if HDP voters believe the elections were not fair?